These are the perfect solution for sending shipping documentation, invoices etc attached externally.They have an easy peel off backing which leaves the envelope clear when removed, exposing the high tack adhesive and giving a strong, secure and waterproof document wallet. 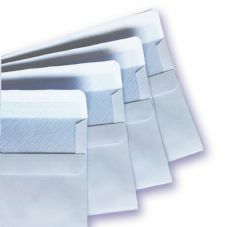 We stock a wide range of plain, windowed and board backed envelopes. All our envelopes are self seal in C4, C5, C6 and DL sizes and made from quality 90gsm paper for our plain and windowed envelopes and 115gsm for our board backed envelopes. 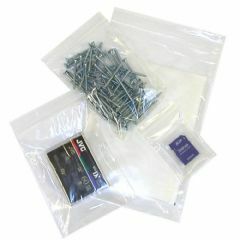 Made from high quality clear strong 160 gauge polythene, they are quick and easy to use having a secure resealable snap close channel. 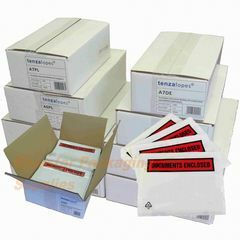 Mailing bags are an efficient way of packaging items that do not need padded protection in transit. They are quick and easy to use, economical, light and take up little storage space. 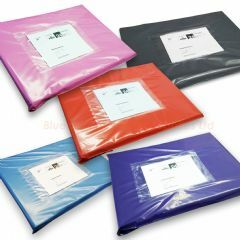 We stock a variety of high quality degradable mailing bags in various colours and sizes and also Sealed Air's Mail Tuff ® Mailing Bag range which provide one of the best mailing bags on the market giving a high quality, secure and lightweight method of posting your items. Outstanding product protection: Mail Lite protective mailers are lined with bubble material that absorbs impact to guarantee high performance cushioning. Practical, easy to use: Mail Lite padded envelopes have an attractice kraft outer which is easy to write on, with no need for special pens. Label adhesion is excellent. They are lined with a smooth, high slip bubble film lining allows easy product insertion, while the peal and seal closure strip on top flap saves time in packing departments and shipping offices. 35% Lighter than traditional packaging : Mail Lite envelopes are one of the highest quality ultra lightweight padded envelopes on the market and because they are so light you save money on postage too!